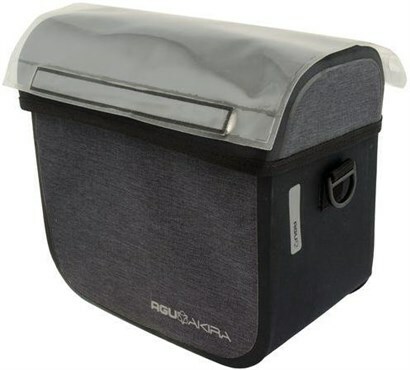 The must-have Akira 220 handlebar is just the bag for everyday use, no matter the weather. The bag is waterproof and fully functional at the very same time. Thanks to the quality fabric and welded seams, your personal items remain dry during the briefest or longest of journeys. This bag has a practical opening on the back for the removable shoulder strap, which alters it into a trendy shoulder bag. And on top of all this, the handlebar bag has its own waterproof map and telephone sleeve. Optimal visibility thanks to reflective emblems. Easily attachable with a KlickFix adapter (not included, though readily available). Detachable with just one simple click; as well as solidly supporting your bag without unnecessary distracting vibration.